AOL no longer seems to be in comeback mode. In fact, the company is on a pretty solid roll. The company's global advertising revenue jumped 23 percent in Q4, finally putting the brand back on par with the robust growth being enjoyed by the online ad business as a whole. 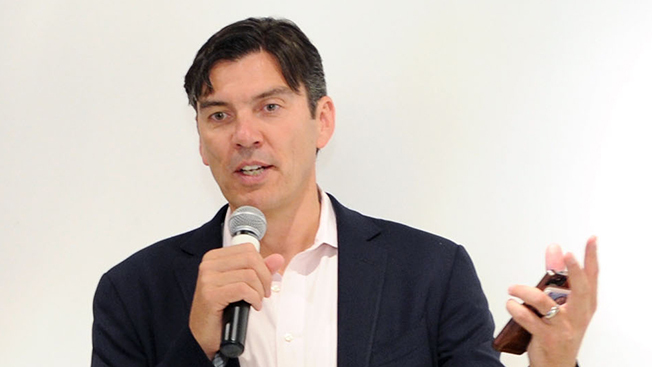 AOL CEO Tim Armstrong likes to tout the company's "barbell strategy"—the idea that AOL is investing heavily on two ends of the online ad spectrum: big brand advertising and programmatic. Both are shining right now for the company. The Brand Group's revenues climbed 4 percent, while revenue for AOL's third-party partners surged 63 percent to $223.6 million. Meanwhile, AOL saw its unique user base jump 10 percent quarter over quarter to 170 million in the U.S.—impressive for a nearly 20-year-old Web brand. AOL also noted video as a growing strength. The company claims over 800,000 premium videos in its library as the result of partnerships like ESPN, Discovery, HGTV and Hallmark. Said CEO Tim Armstrong in a statement, “2013 was AOL’s most successful year in the last decade, and we accomplished our goal of industry level growth at scale for AOL." Of course, there is still a long way for AOL to go to recover its status as a must digital ad buy. That's currently the realm of Facebook and Google. Last year, AOL's share of digital ad spend sat at 1 percent, the same as the year prior, per eMarketer. That's compared to Facebook's share (5.7 percent) and Google (32.4 percent). Still, it's hard to deny AOL's momentum, particularly in light of the overall acceleration of programmatic ad spending.